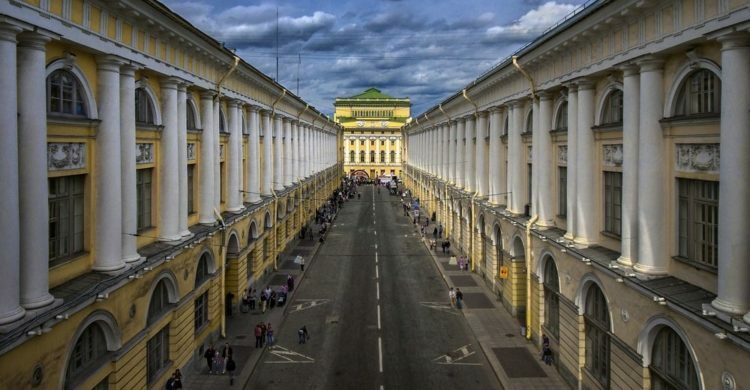 Where do you like to walk in the city center of St. Petersburg? 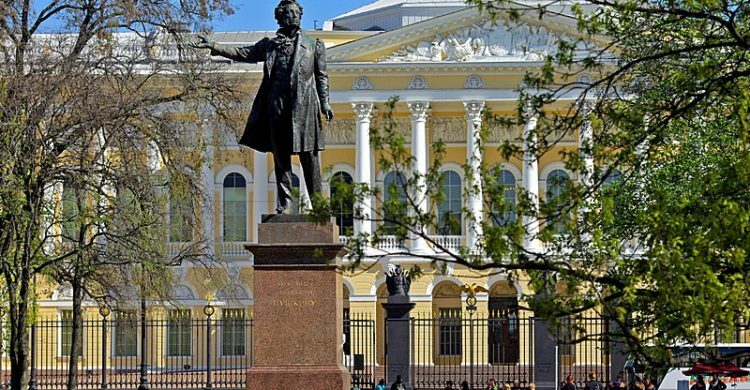 Home » Our guides » My guests: Where do you like to walk in the city center of St. Petersburg? 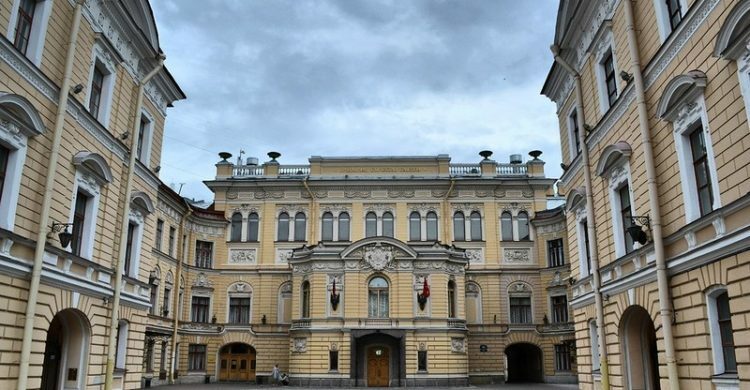 Where do you like to walk in the city center? Ask my guests. 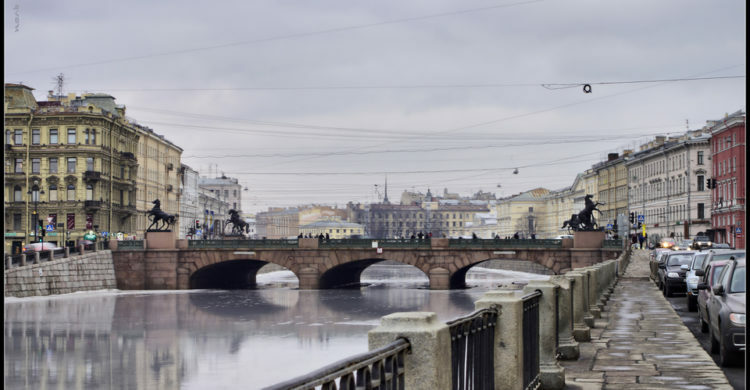 Well, I’ll be happy to share my St Petersburg walking route somewhat off the beaten paths. 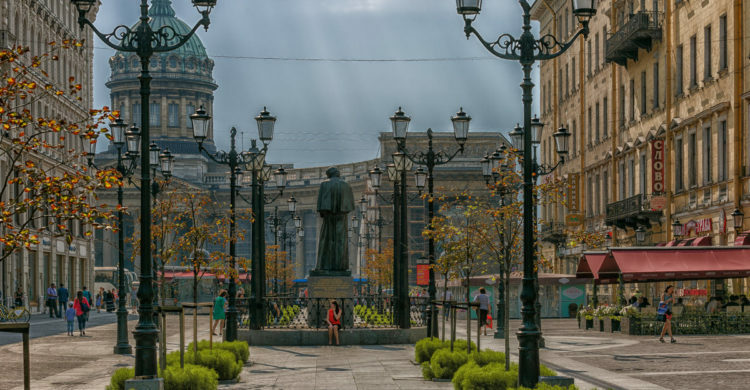 I start from the Palace Square across the Pevchesky Bridge into the Capella’s courtyard, then through several courtyards and exit on Bolshaya Konyushennaya Street, turn to the Swedish Lane to Malaya Konyushennaya, it rests on Nevsky Prospect with a magnificent view of the Kazan Cathedral. 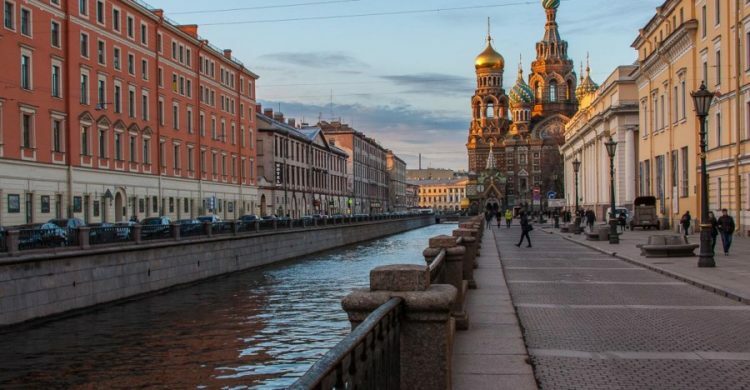 Let’s walk along it to the embankment of the Griboyedov Canal, and proceed in the direction of the Church of the Savior on Spilled Blood to Italian street. 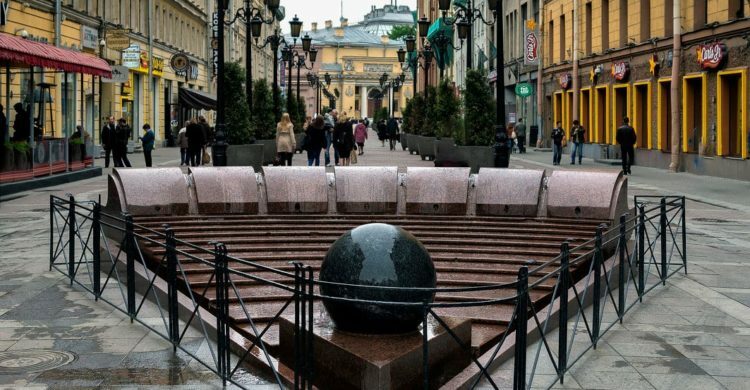 It passes through the cozy Arts Square and takes us to Malaya Sadovaya Street, then we will pass through Manezhnaya Square and exit to the Fontanka embankment. 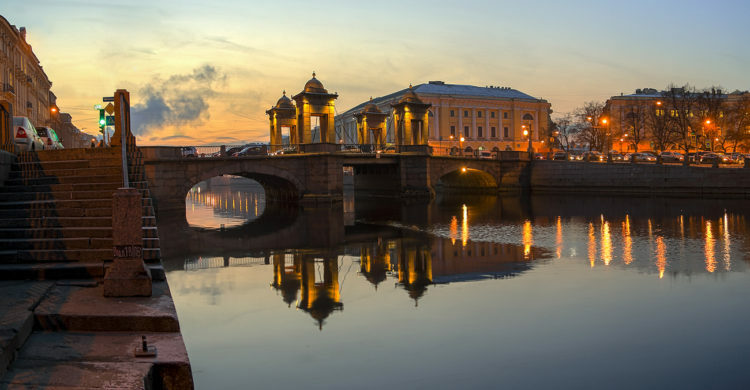 To the left we are waited by the famous Anichkov bridge with its statues of horse tamers, cross Nevsky Prospect. Along the river we will pass to the Lomonosov bridge, on it, towers of lifting mechanisms are preserved. And turning onto Rossi Street, we will be able to evaluate its ideal proportions of 220 meters in length, 22 meters in width and 22 meters in height. 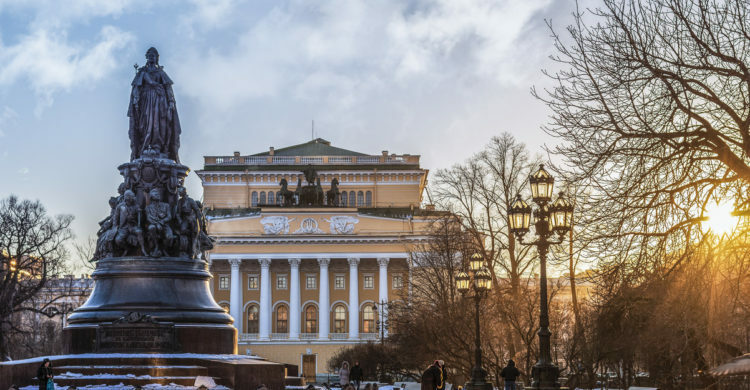 Let’s go around the building of the Alexandrinsky Theater and find ourselves in the Catherine Garden with a monument to Empress Catherine the Great. Now is the time to drink tea in the cafe on the second floor of the Eliseyev shop opposite across Nevsky Prospect. The distance of this route is 4 kilometers and will take a very unhurried step for 1.5 hours. 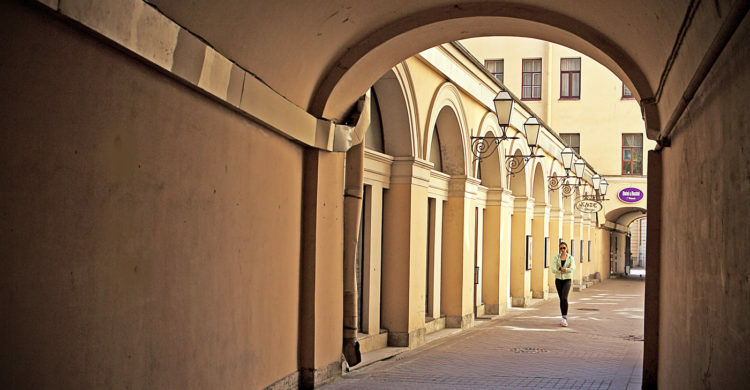 Enjoy your St Petersburg center walking!